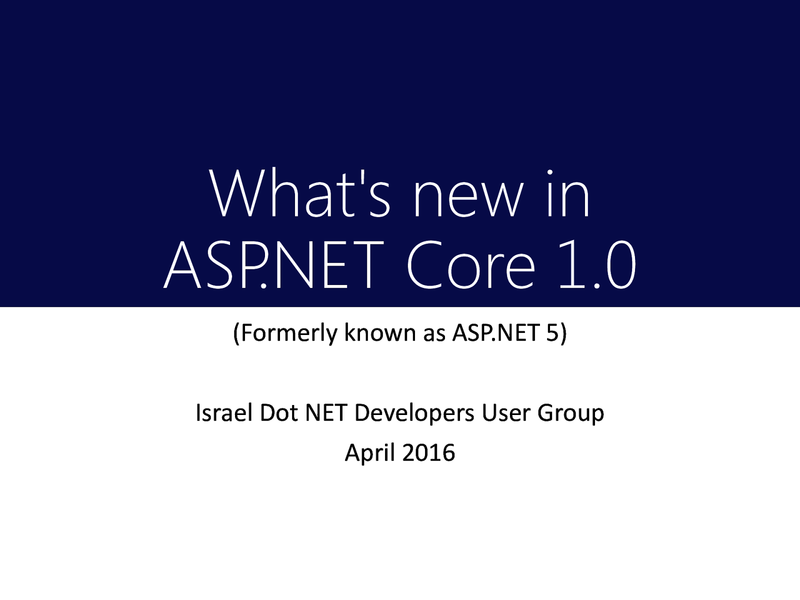 View What's new in ASP.NET Core 1.0 on Notist. ASP.NET Core 1.0 (formerly known as ASP.NET 5) is next version of ASP.NET. As the new name implies this release is bringing significant changes compared to previous versions. In this session we’ll explore the changes to the development and deployment process. We’ll cover what's new and what's missing from this upcoming release. Also, we'll discuss ASP.NET Core's relation to the new .NET Core, its use of Nuget, the unification of MVC and Web API, built-in Dependency Injection, dynamic compilation, CLI tools, and more.